The next chapter in the tricopter saga starts now! 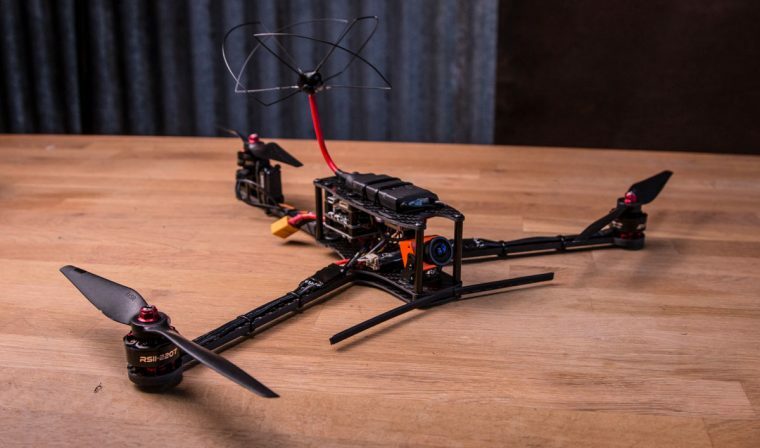 We are proud to present the Tricopter LR! This copter is all about long range and long flight time. The frame is super light at 112 grams. It swings 8″ propellers to get high efficiency and QUIET flights. It’s easily transported as the front arms can be folded back (no tools needed!). 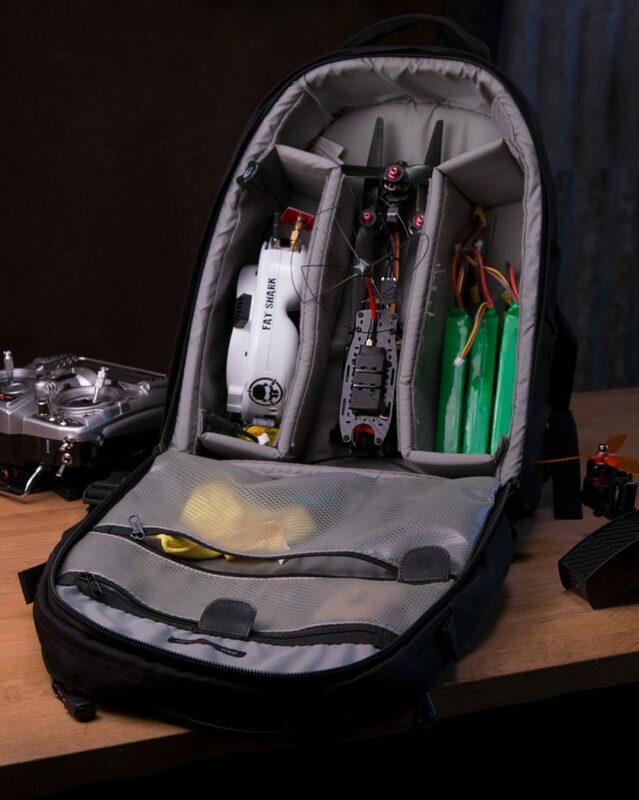 Despite being compact it has a lot of room for electronics and FPV equipment inside of the frame. The tricopter LR uses the standard 30.5mm hole mounting pattern used by most flight controllers which offer flexibility. We went to great lengths to make sure that no props are visible in the image (when using the recommended setup). This was no small feat on a copter swinging 8″ propellers on such a compact frame. The 6S battery trend on mini quads has lead manufacturers to make lower kV motors in the same small form factor. The Tricopter LR is designed to take full advantage of this, using 3S (for long flight time) or 4S (for bonkers flying). The recommended 1600kV 2207 motors weigh less than half of the motors previously used on the Tricopter V4, yet they are more efficient. 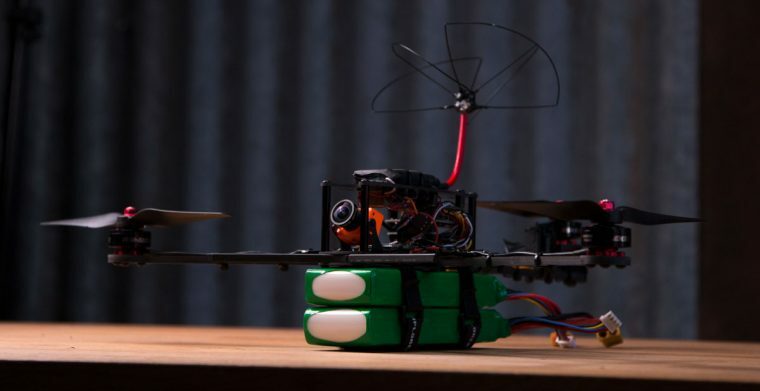 That is weight saved that can go towards battery capacity, which together with the higher efficiency of the motors, low weight and low drag frame equal a lot of flight time. We have put together a super efficient electronics pack for the Tricopter LR that, with the right battery and a light build, makes it possible to achieve over an hour of hovering flight time! We are really happy with how this copter turned out. It’s easy to travel with, yet offer very long flight times previously only possible with much larger rigs. It’s fantastic for cruising far and high which lets you really take in the landscape and explore. 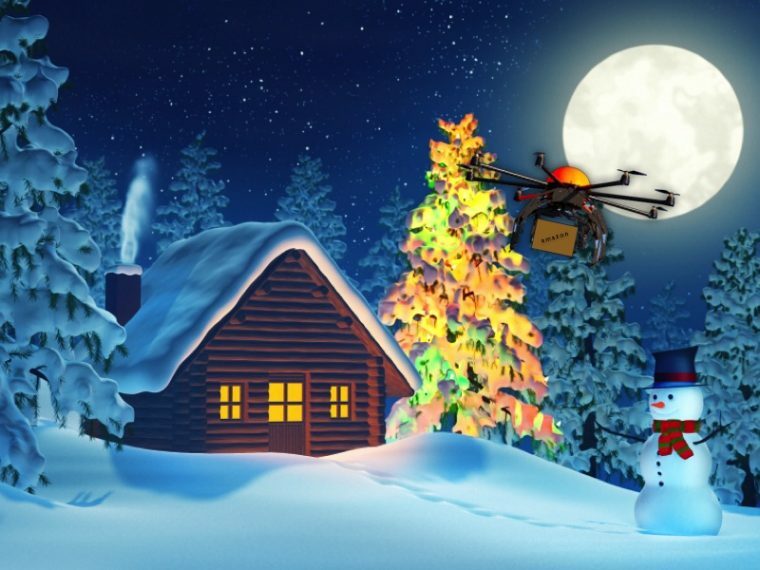 The Tricopter LR is now available for purchase in the RCExplorer store. Build- and flight videos are coming soon. 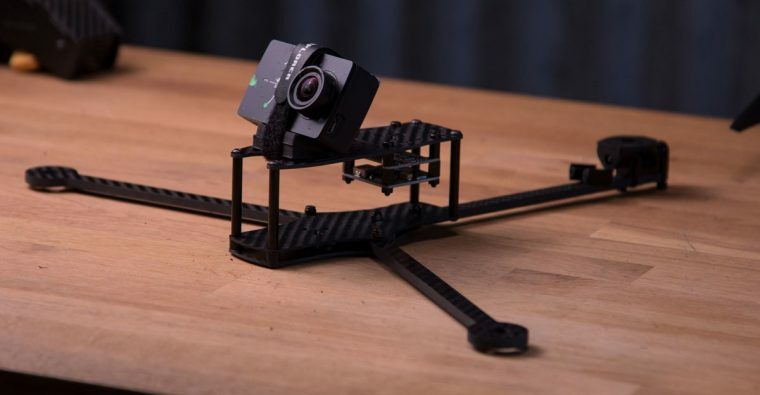 With the release of the new Tricopter LR, starting today the Tricopter V4 and MiniTricopter kits will no longer be available for purchase as kits. Individual parts will be available until the current stock runs out, after which these parts will no longer be re-stocked. Please note that we will not delete any of the product pages at this time. Everything will still be accessible for reference in case you want to go back and find information on the setup of these legacy kits or similar. You can find all legacy items in the shop under the legacy category. 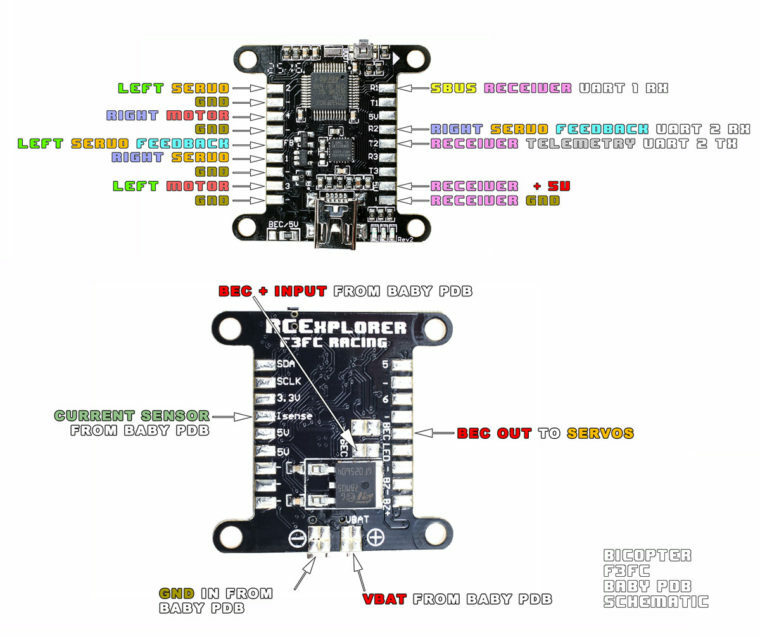 Rev4 of the BabyPDB is here! It can now deliver up to 5A continuous current and 20A peak! This new version features 2 BEC output pads allowing for easier soldering of two or more servos. The spacing between that pads has also been increased to make soldering simpler. Almost December already? How the days fly by… If you are considering ordering something as a Christmas present, you probably want it to arrive before Christmas. The general shipping times that can be found via instructions in the FAQ does NOT apply to the holiday season, as all the shipping agents, and customs services, have so much larger volumes to handle during this time of the year. According to PostNord, parcels we send before December 6th (worldwide) are expected to be delivered before Christmas, parcels within Sweden a bit later than that. This is of course not a guarantee, but their general guideline. Unexpected and unusual things may, as always, delay delivery beyond reasonable expectations, but almost all orders shipped before December 6th should be there before Christmas. For us to be able to ship your order before the 6th, you need to place it no later than December 5th, 9:00 AM, CET, and, as always, all items need to be in stock (orders containing backordered items will not be shipped until everything is in stock). During the holidays, please note that in addition to the increased shipping times of the shipping agents, our processing time for orders and reply time for support tickets might also be longer than usual, as we will take a couple of days off. Lets try a new firmware! dRonin has a bunch of cool features like autotune and super simple radio setup. This version of dRonin has Triflight integrated, meaning that we can get a super locked in tail! Check it out in this thread for more info. A big thanks to the users jihlein and Lauka. The latter is the creator of triflight for betaflight and jihlein the man that integrated it into dRonin + a bunch of other fixes and tricks. Also thanks to Kevin_Eric for the amazing amount of testing and feedback you have given in order to improve the firmware. Our Black Friday sale is live! Get 10% off if you order for more than $100! 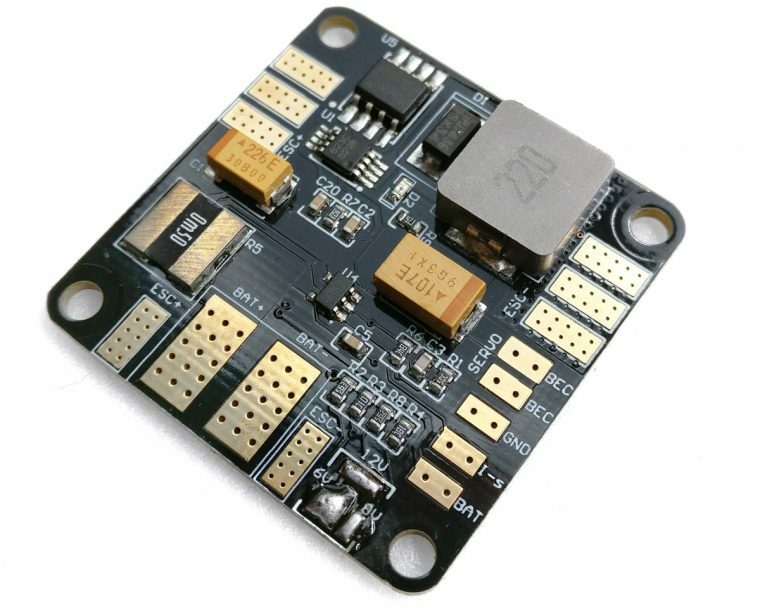 We’ve been looking for a more powerful flight controller for a while now. 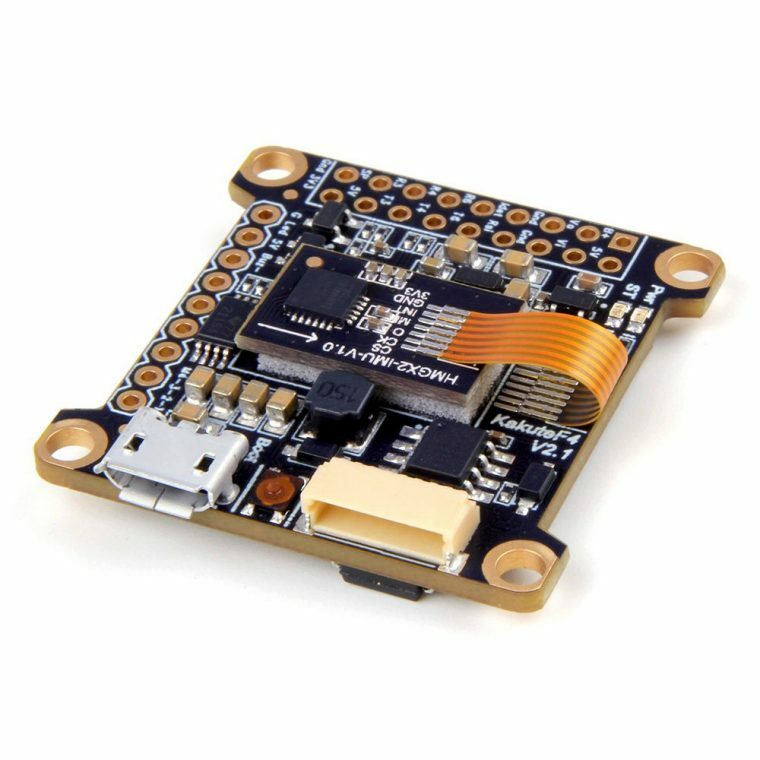 Something with good features like a built-in OSD, soft-mounted gyro, faster processor, good amount of UART’s, enough ADC inputs and enough available pins capable of driving servos. It’s a pretty tall order, but we did manage to find one; The Kakute F4 V2. It can do both Tricopter and Bicopter with some remapping of pins in betaflight and jihlein on the forums has already made the first test target for dRonin, an awesome firmware that is showing a lot of potential for both the Tricopter and Bicopter. More info regarding this will be posted soon. So keep an eye out! Seems like the looks of the site is a bit off. We’re working to fix it. The rest of the site works as it should.